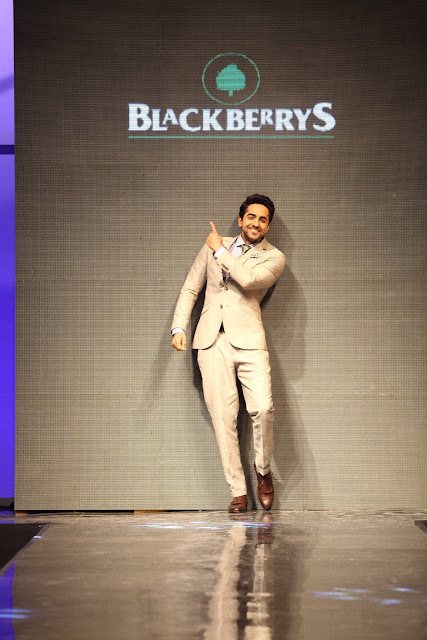 Blackberrys, one of India’s most sought after menswear brand, recently brought together fashion and music, on a single night, on a single stage. 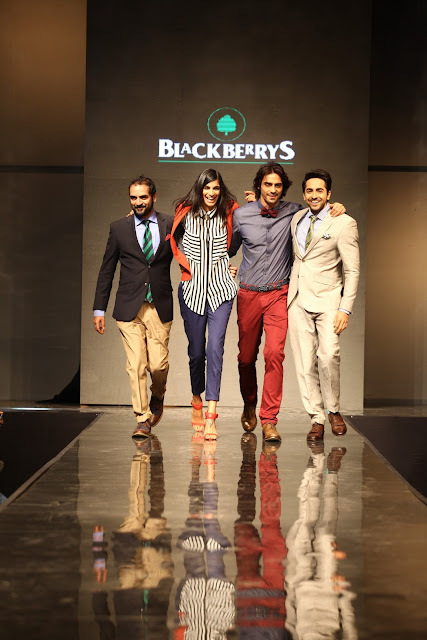 It launched the Spring Summer’ 2013 collection at the Blackberrys Sharp Nights Jam Up, at an exclusive, closed door fashion extravaganza where moi was invited :) and where Arjun Rampal, Ayuhsmann Khurrana, Anushka Manchanda and Karsh Kale walked the ramp to showcase Blackberrys Summer 13 collection as the official show stoppers and then jammed up to create some really edgy music. 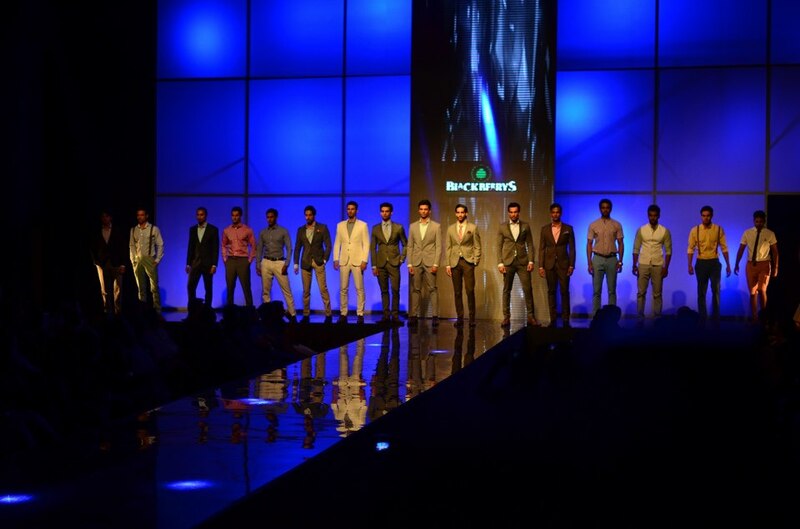 The night opened with the fashion show for the launch of the Spring Summer' 2013 collection. I would describe the collection as a blend of the old and the new - some looks that reminded you of the 60's with bow ties and slim suits, some classic fit suits and some very trendy pieces keeping in mind the young, worked out, chiselled bodies in today's time. 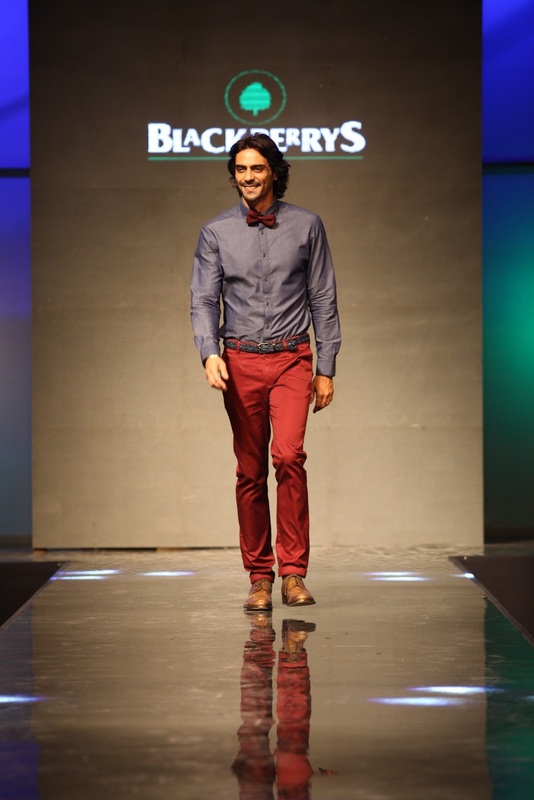 Can anyone else make maroon pants and a maroon bow tie look that hot? 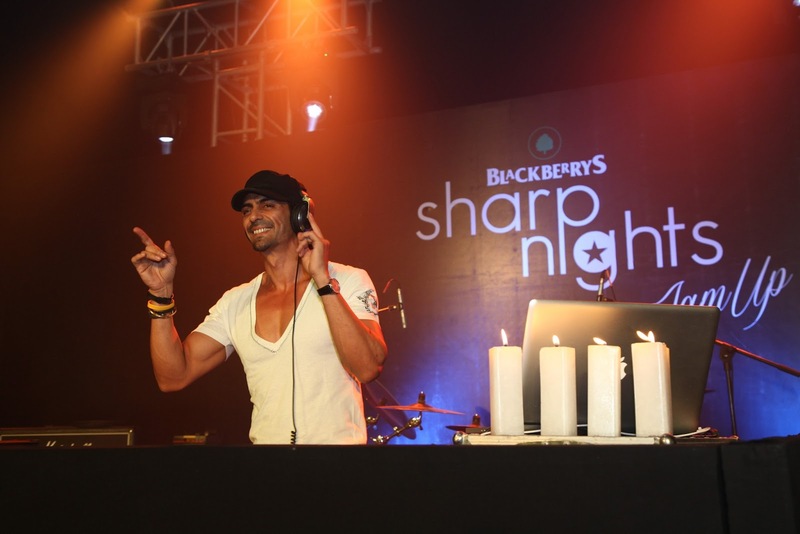 What followed the fashion dose was the Jam up night and what a night it was! 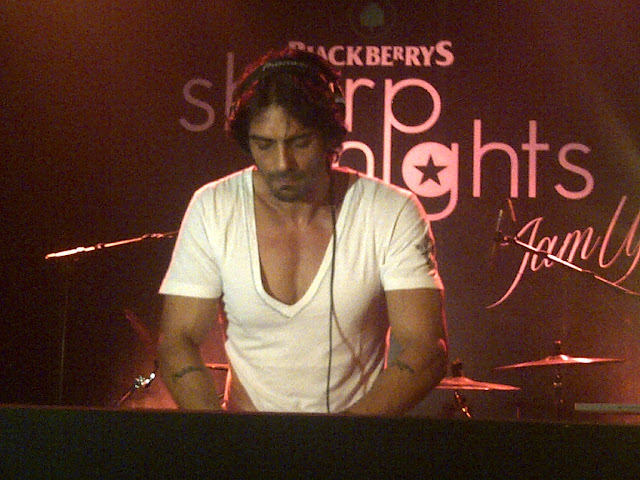 The Jam up concept was to combine some of the finest and most versatile talents in music and Bollywood, who have challenged existing norms and redefined conventional roles, and so we saw 4 new-age artists: Arjun Rampal(yes he spun some awesome EDM), Ayushmann Khurrana, Anushka Manchanda and Karsh Kale enthrall the crowd with their performances. Blackberrys has been known for the ‘twist’, ‘for challenging norms’ and 'walking the unbeaten path'. With the brand’s mantra of ‘Go Sharp’, this concept was another novelty from the brand. Hotness!! All our Bollwood DJs please take a back-seat! We have a new star!